Seth Meyers, who was with “Saturday Night Live” for more than a decade, knows a thing or two about New York stereotypes. So when Anthony Scaramucci was appointed the White House Communications Director, he knew exactly what to say. 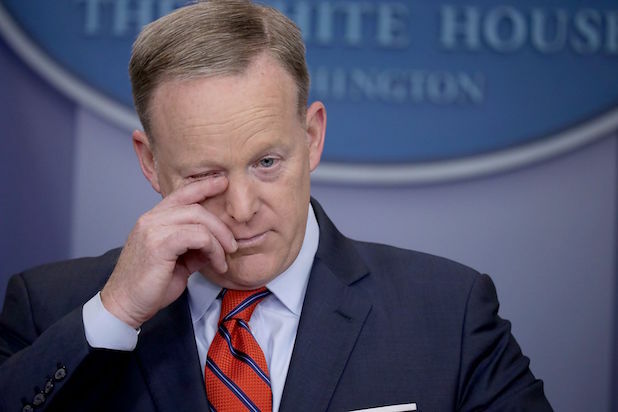 “In summary, the Mooch gave us a smooch while Spicey screwed the pooch,” he concluded. And while he appeared to support the president on news shows — saying he’ll back Trump up — Meyers saw something quite different. “In fact you could even say that I’m here to be the president’s accomplice i just want to be the accessory to his agenda both before and after the fact. we’re breaking and entering a new era,” Meyers joked. Watch the full “Closer Look” above.